« GOP Spends $17,000 to keep me outa the legislature! 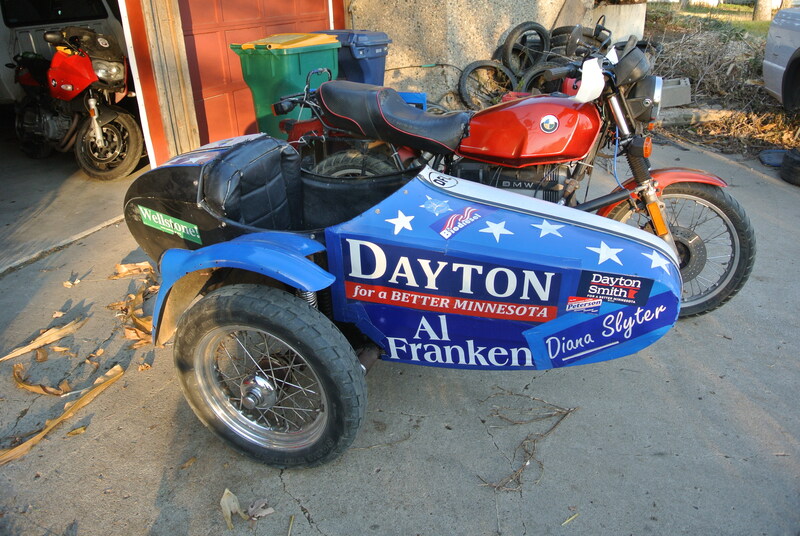 The election is over, Governor Dayton and Senator Franken won, I lost (by a landslide) and life returns to “normal”… Or as close as it gets to normal at Gearhead Grrrl’s garage! The clutch on the ST quit slipping, though thankfully it’s still leaking oil, so all is well… Sorta like a 2 stroke Detroit Diesel. The white blob in the background is currently in the “no start” cycle of the intermittent no start routine it’s been performing for the last year. Replaced the fuel pump, still does it… At this point I should probably just add up what it would cost to replace the whole fuel system and decide if it’s worth it. The red F800S soldiers on, although thanks to electoral distraction I’ve barely ridden it 10k miles this year. Same with the TDIs, and the GS still leaks not a drop of oil, so I may put the ‘hack back on it and drag the ST’s engine to Florida for the winter rebuild season. The Quota’s plug fouling has become too much to ignore though, so time to learn the ins and outs of Guzzidiag software. Speaking of learning, with politics permanently put in it’s place (talk to me in 2016, and I’m not even running for dinner), I’m tempted to get even with the vocational counselor who talked me outa majoring in engineering back in the 70s. To tempt me further, Minnesota lets anyone over 60 “sit in” on public college and tech school classes for free… They didn’t know what they were letting themselves in for! Thanks to the internet, I can relax in Florida while studying engineering and science and all that other fun STEM stuff, and I’m going to take maximum advantage of Minnesota’s treating us geezers to free higher education before I go senile! And with more time on my hands, I’ll be doing more gear head blogging- with everything from wheelchairs to post-panamax ships fair game, I’ve got enough material for even daily blogs for decades. And with 3 airheads in my fleet, there’s never a lack of drama… On a good day they’re all running, though not necessarily continent. But politics? I’m trying to “stay on the wagon”. but this morning my blog on how we lost the Minnesota House made the front page at http://www.dailykos.com . 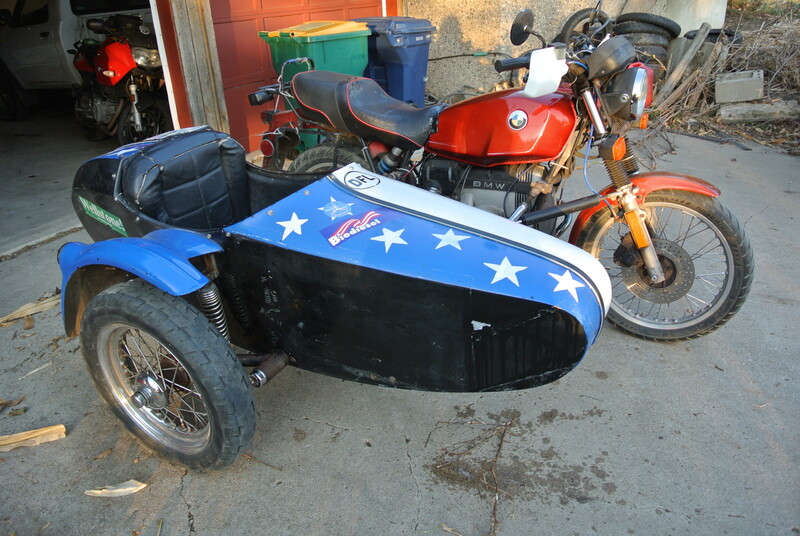 And I hear the Airheads Beemer Club is in need of a coup, and aren’t BMWMOA’s elections coming up in 2016? I swore off politics, but when you can make your campaign appearances on a motorcycle and campaign at rallies, why not? On the Q fouling plugs.. If I remember correct your ECU looked different than most others I have seen. Maybe you need an updated map. I have done that with Guzzidiag a couple times for others. If you need the map or want to compare your map to mine let me know. Yup, the printing was worn off the ECU so we couldn’t see if it had been updated or not. I’m gonna have to download Guzzidiag and get a cable and see what’s in there.